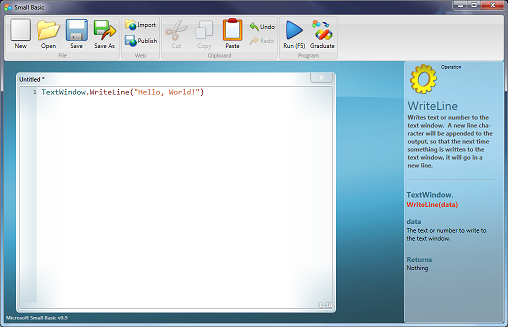 Microsoft just updated their version of a programming language for children, called SmallBasic. WSJ published an interview with President of Russia, Dmitry Medvedev at http://online.wsj.com/article/SB10001424052748703650604575312961393600400.html?mod=WSJEUROPE_hpp_LEADNewsCollection Also Russian president offen criticized for too active or too weak position because of duo with Vladimir Putin, it seems that he presented himself as very mature political figure, who knows what his is talking about. Sorry folks, but you should really start thinking about innovations and how to do business.